The town of Kroměříž is a must see for anyone. With or without Czech roots. 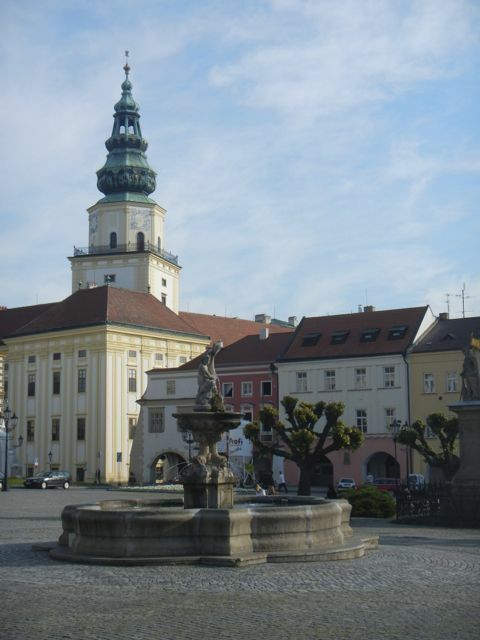 There is a certain degree of breathtaking beauty in the parks, gardens and palaces of this important Moravian town. It is extraordinary, and popular among Czechs and Moravians alike. Located directly on one of the most picturesque Squares in the country. A morning walk around the square or down any one of several back streets, you will find yourself in one of the most delightful historic towns you will ever visit. The Hotel La Fresca is a symbol of this special place. It is exactly what you would expect to compliment a town that welcomes you to stay longer. The hotel boasts special suites, facing the main square. The view of this square in the early morning (or any other time of day), is truly wonderful. Indeed this is one of the most comfortable hotels we recommend. The current manager is the 3rd generation in his family to run this hotel. In this respect you can easily recognize this upon entering the door. You enter through the restaurant. A better welcome is rare. The food served here at the La Fresca is something you may very well write home about. Traditional Czech, Moravian and Italian dishes are served in delicious and generous portions. You will not go hungry in Kroměříž. In fact you may want to consider this as an ideal hub, for any extended stay in the region. 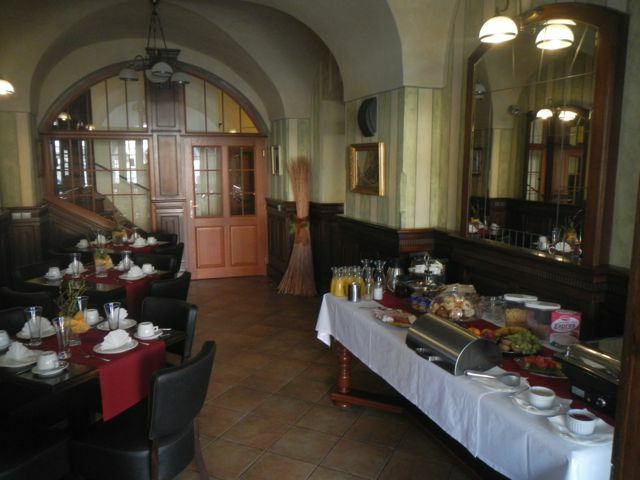 A short distance to the larger towns of Olomouc, Brno, Zlin, we suggest this hotel often as a perfect stopover or 2 night stay. You won't be sorry.